Could decision fatigue be a reason why your business is thriving, stagnating or failing? What could you do to make decision making a “no brainer” for your customer? What if by doing so, you drive the transformation of your organization and exponentially improve its performance? Not surprisingly, many people suffer from “decision-making fatigue”. In a world that is increasingly commoditized, consumers have more options than we can handle. Choosing one option over another has plagued the world; decisions from what shoes to wear, what car to drive, who to date, which school to attend, what career to pursue, to what to watch and where or even how to shop. With so many choices around necessities and conveniences the options seem endless. And, as a result, many consumers find themselves in a state of decision-making fatigue or paralysis, unable to make a decision or purchase. As the name implies, a no-brainer decision means the consumer does not have to think and can easily discern the best option. The best in any marketplace can be compared with any other product/service, and demonstrate that it has a higher value. Outmatch all of the products on the market in terms of price, quality and convenience, and normally that company will win over any client, fatigued or not. These companies have made life simpler, easier and faster for their users resulting in millions and millions of customers. The prices are low enough or the value high enough that it’s a “no-brainer” to use their products/services. Direct access to mortgage specialists. The company’s professionals can answer questions via email, fax or phone from application to close. Instant real-time loan comparison. The company’s website, www.quickenloans.com, provides comparisons of mortgages and thousands of financing options. Comprehensive home-financing education. QuickenLoans provides information regarding purchasing, refinancing or home equity loans and finding the loan that fits customer needs. Diverse loan options. QuickenLoans specializes in plain vanilla mortgages, including conventional, FHA and VA programs. Real-time loan status information. Their website, www.myql.com, allows consumers to immediately find where their application stands any time in real-time. Finish the mortgage application process within 8 minutes, complete with e-signature. Visually compare and customize their interest rate, mortgage term, monthly payment and fees based on individualized financial information and goals and current underwriting guidelines for numerous products with real-time pricing. Import and verify asset, property and income information – all online via proprietary interfaces designed by QL Labs with numerous partners and databases throughout the country, eliminating the need for consumers to provide supporting loan documents manually. Receive full approval in minutes on conventional, FHA or VA mortgage products with the click of a button from Quicken Loans’ proprietary interface to agency underwriting engines. Conveniently view all loan documentation and details online, anytime, anywhere. Users no longer need to rely on information relayed over the telephone, email, face-to-face or through the mail. 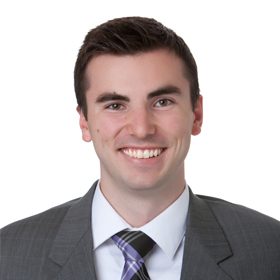 Rocket Mortgage cut 12 days off of the loan closing process compared to the industry average. According to the company, after 11 months, Rocket Mortgage’s closed volume alone would already rank as a top-30 national mortgage lender, among the nearly 50,000 banks, credit unions, brokers and mortgage companies in the United States, funding $7 billion of QuickenLoans’ record $96 billion in total closed loan volume in 20167. 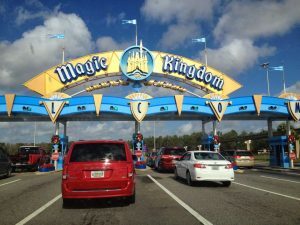 Disney is committed to the idea that once a guest enters Disney World nothing in the park should take them out of that fantasy, and that commitment extends all the way to the parking lot. Realizing the last thing people experience is often how they will remember that day, Disney needed a solution to help people to find their cars. By organizing its parking, Disney can determine where each car is parked and direct the park-goer to the correct section depending on the time they arrived. Disney creates everything based on the experience. As in the previous examples, any company can adopt a smart business practice by simplifying decision-making for customers who will purchase in droves when openly shown value above the competition. Make it a no-brainer and minimize decision-making for the sake of your customers, and for your business as well. For this kind of change to occur, companies must have a customer-centric strategy permeate the entire organization. Implementing such a strategy should change your organization. This is a new paradigm and a transformational approach to organizational change. This article is the first in a 3-part series on Decision Making Fatigue. Learn about no-brainer decision making for your employees in Part 2, and no-brainer decision making for your company in Part 3 of decision fatigue.